A few weeks back we did a connection on The Amaretto Family website and explained about its features, well that website really laid the groundwork for this new website we are showing you today (they are joined, you can login with your TAF Account, or create a new one). But first let me explain that these sites are in no way run by Amaretto, but by myself and Markus. We are sharing this with you thanks to Josie for giving us permission to do. 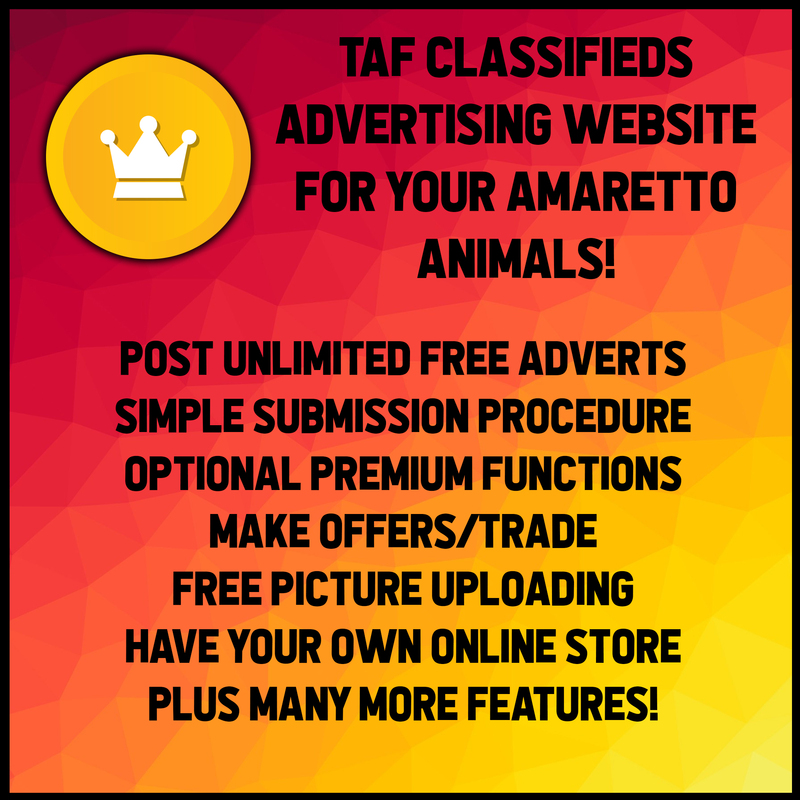 TAF Classifieds is a new way to advertise your animals that you are selling, it is similar in some regards to other website platforms out there already available but it does have some interesting features that we hope you will check out! It lets everyone post adverts for free! PS we plan to add more features in the coming months!